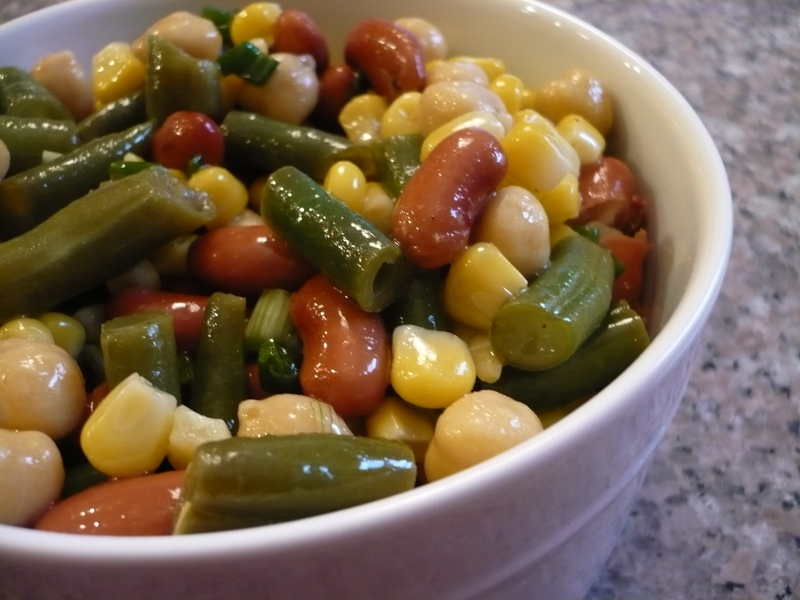 Aunt Nancy’s 3 Bean and Corn Salad is a Clark family staple. It’s delicious and great for picnics, potlucks, summertime, and anytime! Mix/beat oil, vinegar, soy sauce, salt, and pepper with a fork until slightly thickened. Cover and refrigerate at least 1 hour. Toss before serving. Serves 6.